I see that you have given yourself away. for no friend can hear you anymore. keeping you awake when you dream. Is all I whisper in your ear. so that you might get rid of me. Send me away into a punishment so cruel. to haunt you once more. For I am the demon in your head. 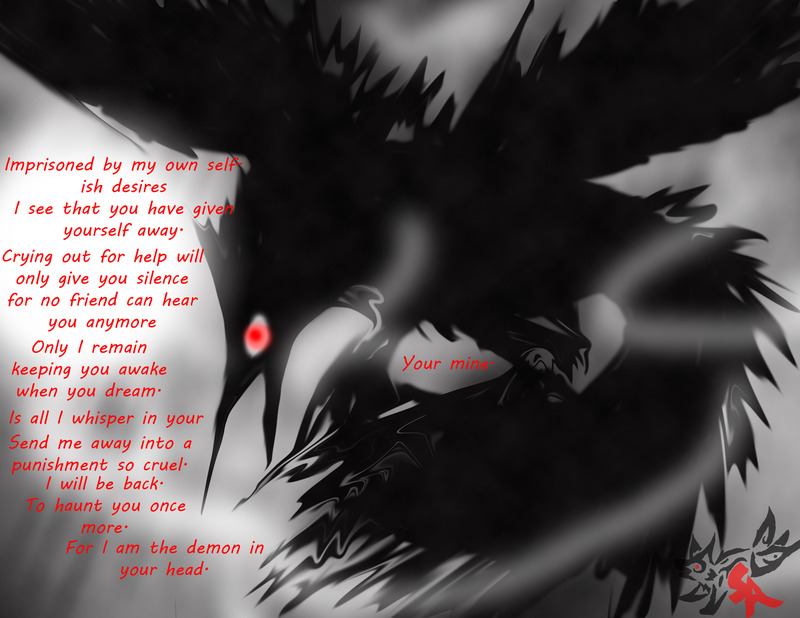 My demon is my darkness, I choose to learn it, love it, embrace the darkness. Ah I see... well just be careful with that. It's fairly fun, just learning basicaly, overcoming, and better yet, gripping a person's anger for entertainment.